Week 2 is officially in the books and Week 3 has already kicked off with some Wednesday and Thursday night action. Week 2 saw it’s fair share of ups and downs for the nation’s top teams, and plenty of movement on our PFF ELO College Power Rankings. As the dust has settled and we get ready to embark on another weekend of action, it’s best to give one final look at last week and prepare for this coming weekend’s slate of game by outlining an interesting observation pulled from PFF’s wealth of college data to get you ready for Week 3. 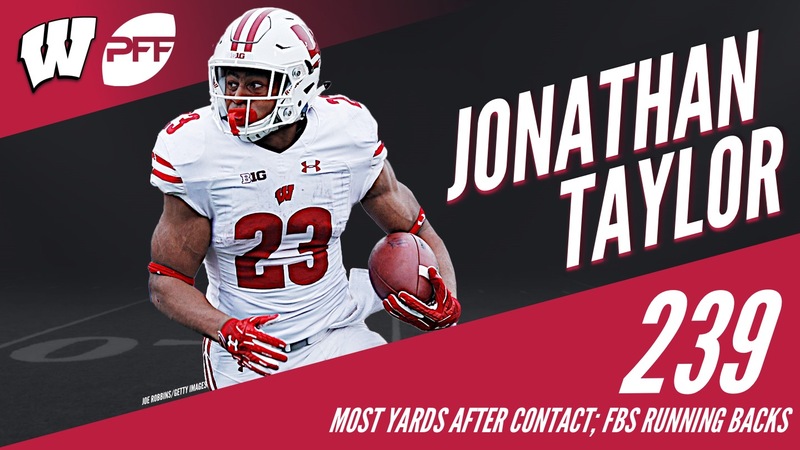 In our Top 25 Observations series, we’ll outline a nugget or two of data from our grading of every player on every play of every game at the FBS level and bring you, our readers, the observations on every team’s running back(s) on our Top 25. Just like last season’s National Championship game, the former top overall recruit stands out in a crowded Alabama backfield. He’s currently our third-highest graded running back, 13th in avoided tackles (9) and already has four runs over 15 yards. If Taylor is in the game, he’s getting the ball. His 51 carries have come on 71 total snaps (72 percent). Through two games, he leads the FBS in yards (391), yards after contact (239) and has already forced 13 missed tackles. While his teammate D’Andre Swift got much of the preseason discussion, and rightfully so, it’s Holyfield who has been more productive on a per carry basis in the run game. Holyfield leads the Bulldogs in yards per attempt, yards after contact per attempt and runs over 15 yards (3). With Rodney Anderson sidelined for the year, it’s a running back by committee in Norman as the carries were distributed almost evenly among the three in Anderson’s absence last weekend. Sermon is the highest graded and been given the most carries thus far, but Sutton has been the most productive on a per carry basis (7.9 ypa and 4.33 yco/a). Weber and J.K. Dobbins are giving balance to Dwayne Haskins’ elite throwing ability for the Buckeyes right now. Weber, though, has avoided six tackles to Dobbins’ one and is tied for seventh nationally with eight explosive runs (10-plus yards) and five runs over 15 yards.